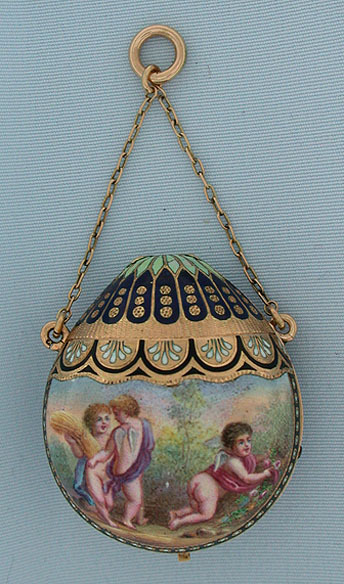 Fine and very rare 18K engraved and painted enamel watch in the form of a hot air balloon circa 1810. 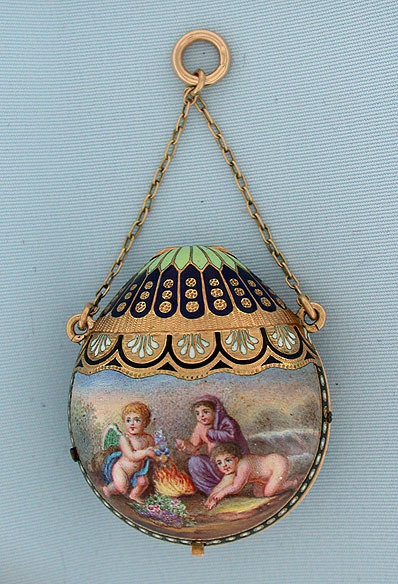 On one side cherubs are gathering fuel and on the other they have lit a fire. 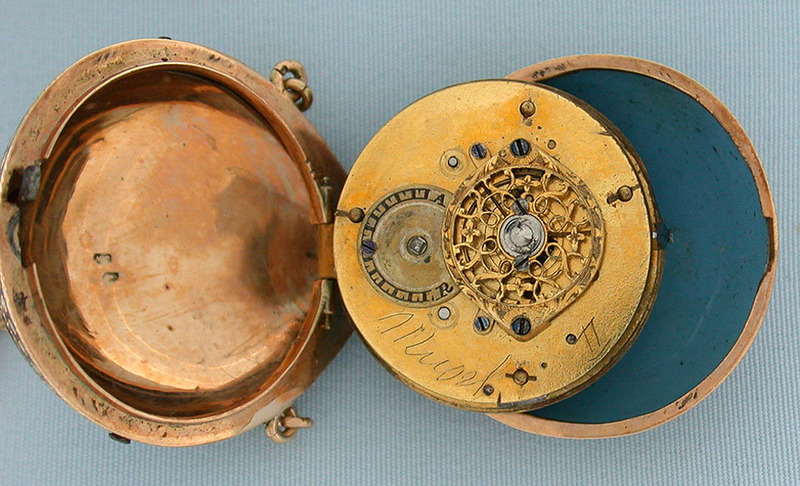 Possibly replaced verge and fusee movement of the same period as the case. 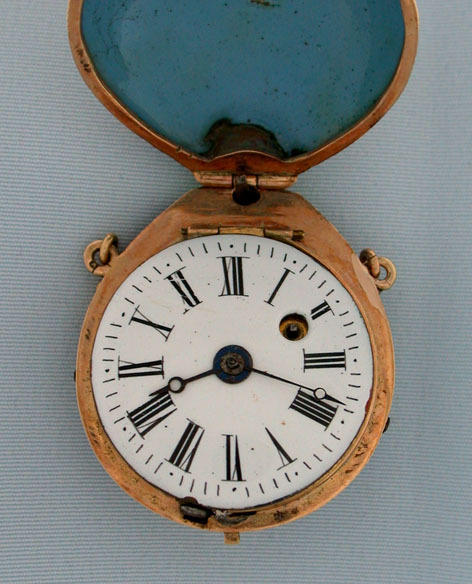 White enamel dial with scratches and a scratched name on the movement.